Advanced Color Tuning tools to help you make creative videos. Adobe Premiere is the industry leading video editing software which often used in film making, TV show, and more. The color grading feature is very professional in Adobe Premiere Pro, and you can make your video stand out with this feature. So in this article, you will learn how to correct color in three ways. This is a basic tutorial about Adobe Premiere, professional video editing software. However, if video editing is new to you, consider Wondershare Filmora, which is a powerful but easy-to-use tool for users just starting out. You can find lots of filter, overlays, and preset 3DLUTs in Filmora. Even the footage captured with high-end professional cameras like Red Epic or ARRI Alexa requires a certain amount of color correction in order to bring the colors on the images to life. Step 1 - Import video: The first step in the color correction process is to import the footage into the Adobe Premier Pro and place it on the timeline. It is usually better to finish all other video editing operations before starting the color correction process. Step 2 - Created the adjustment layer: Once your footage is ready, create a new adjustment layer that will enable you to use the same color values on several clips. This option is quite useful if you wish to apply the same values to more than one clip, but you need to pay attention if some of the clips are over or under exposed or if the contrast is too strong. Step 3 - Lunmetri color option: Once you've created the adjustment layer place is on the timeline and stretch it over the clips you have on the timeline. Then in the effects panel look for the Lunmetri color option and add it to the adjustment layer by simply dragging it and dropping it on the layer. You are now ready to begin the color correction process. On the right side of the Adobe Premiere Pro's work surface, you will see a lumetri color panel, that allows you to choose between a large number presets. Presets enable you to automatically adjust values such as brightness and contrast, RGB levels or white balance. However, applying presets isn't always a good idea because they might make your images look too dark or the colors can become oversaturated and unrealistic. In the left, you will see a preview screen with left and right arrows that will allow you to go through all the presets and see how your footage looks like when you apply a particular preset. You can also adjust the intensity of the preset you are applying by moving the intensity slider left or right. Double click on the preview screen if you want to apply a preset. You will be able to see the changes you've made on the main screen and decide if your footage requires further adjustments. Even if you decide to use one of the presets you'll still need to fine tune your images manually. In the main lumetri color panel you'll see the sliders that enable you to adjust saturation, vibrance, and sharpness of your video clips. If you click on the 'Basic Corrections' feature you will see a panel that enables you to adjust the values of the white balance, contrast, exposure, shadows, highlights, tints, temperature, whites, and blacks. In order to create balanced colors on your videos play around with the sliders until you find perfect values on each slider. This process may take some time, since finding the right ratio for all of these options is a skill that takes some time to master. 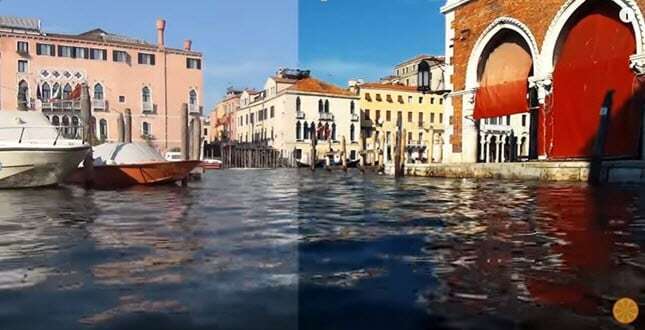 We have covered just one out of many effects that can be used for color correction and Adobe Premier Pro offers many different color effects that can be used to improve the quality of your videos. Color grading is a fine art that requires a lot of time and dedication, even though the technical part is easy to learn, it will take a lot of practice until you are ready to do this process on a larger scale. Most projects require you to carefully treat each clip you are working on and you must pay close attention that all clips have at least similar color values because discrepancies can be easily spotted by the viewer.